← Don’t you just hate that?! I hate when I write a post, like I did the other evening, intending to post it the next morning after I have reviewed, chosen, edited and then inserted the photos I took to go with it! But, I accidentally hit PUBLISH instead of SAVE DRAFT. 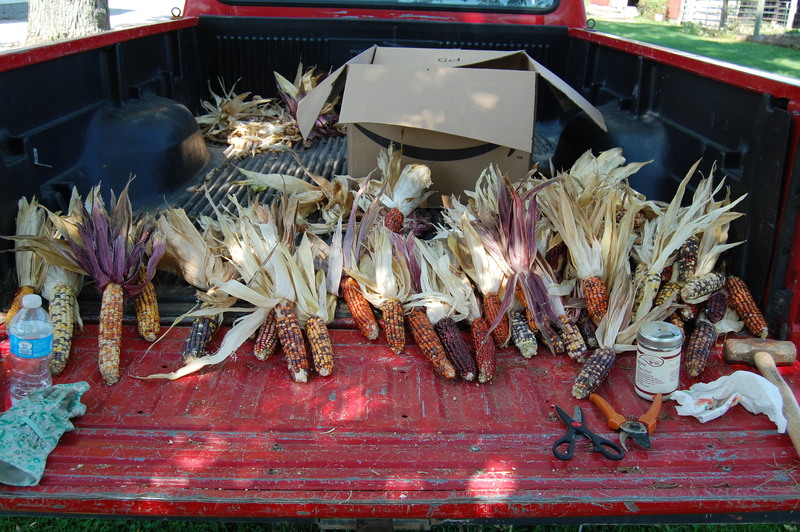 The ornamental corn has done much better than I thought it was going to do. It is beautiful, even the imperfect ears. Each ear is a surprise to me! What colors will it hold? 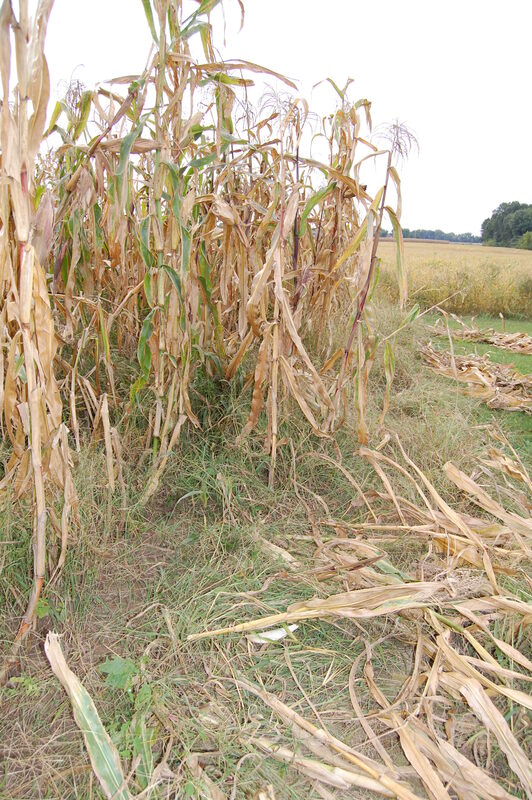 I have tried to find a pattern, based upon the color of the husks, but haven’t figured out one yet. 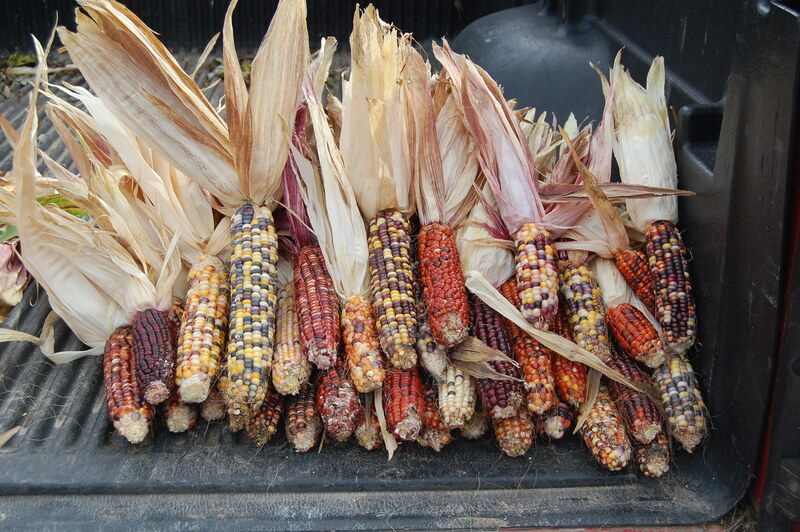 I love peeling back the husks to see what God’s paintbrush designed. 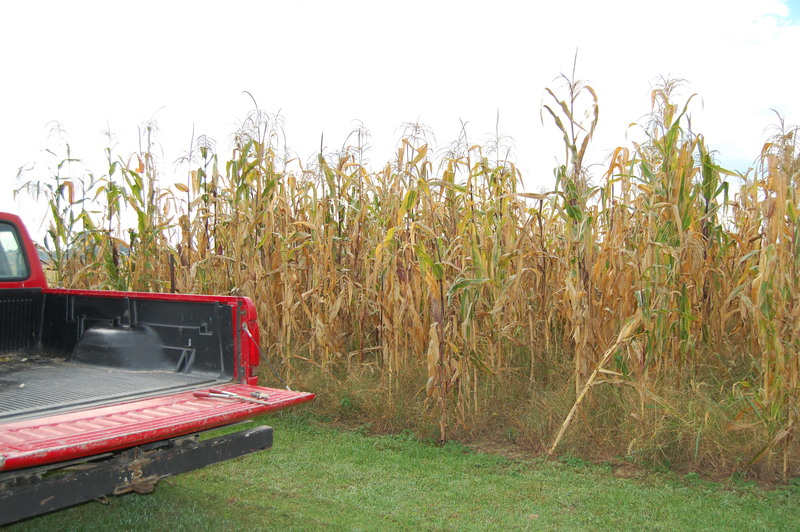 Some of this corn grew crazy tall! Thanks to all the rain we had this summer, I suppose. 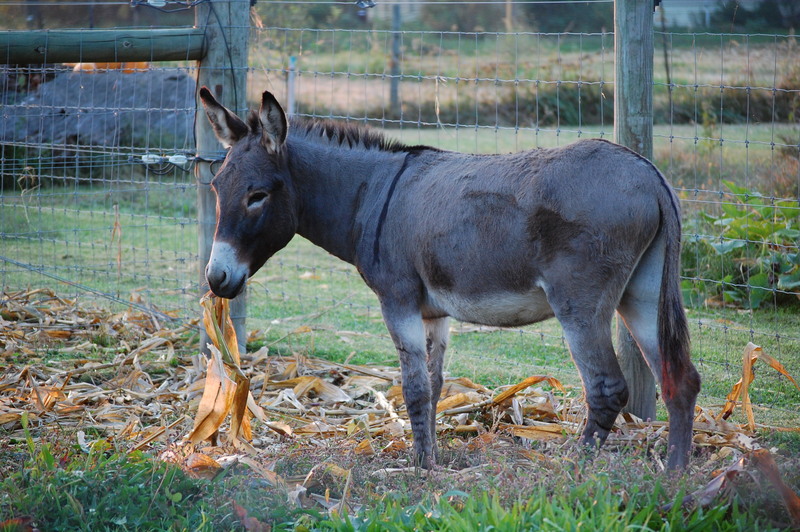 After I pull the ears, I break the stalks over. 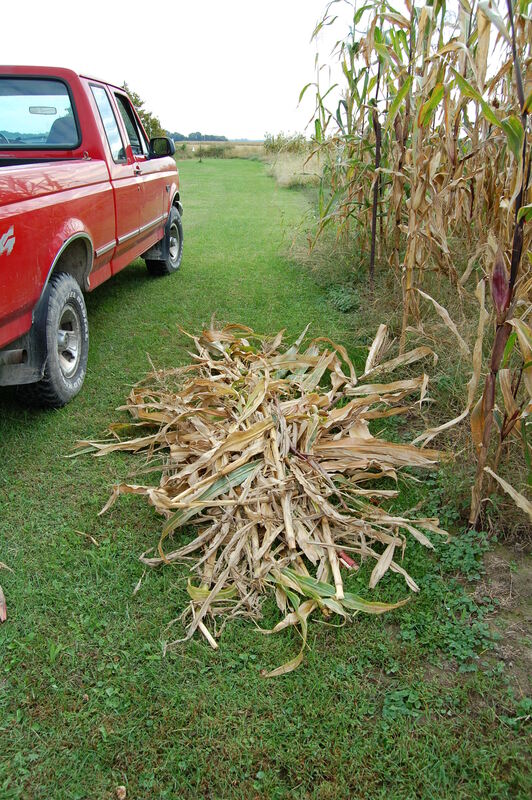 After a row is done, I stack the stalks so I can take them from the patch at Mom’s to my house for the animals. Happy is a creature of routine. He loves this routine. Oh and did I mention that Bernice, the sow, is “bellied-down” and due to have her pigs today!? 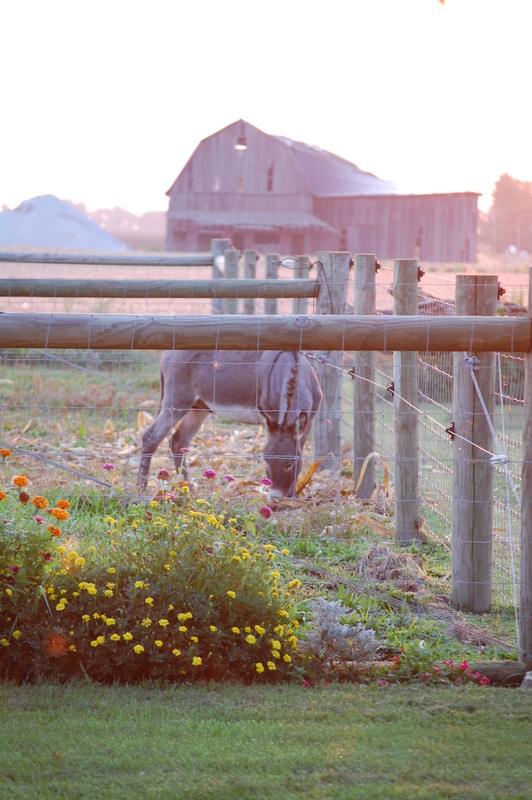 This entry was posted in Berkshire Pigs, Country Living, Happy the donkey, Positive Thinking, Pumpkin Patch, Work/Career and tagged Autumn, Berkshire sow, Happy the donkey, Illinois Country Life, October, Ornamental Corn. Bookmark the permalink. 10 Responses to Don’t ya just hate that, too/2?? Glad you enjoyed! Happy fall weather!! I have always thought it would be SO nice for Word Press to have an “are you SURE you want to publish this post?” option….! But, you’re right, all of your readers who are bloggers completely understand! I try to remember to “schedule” my post once I have a title, before I even start writing anything, but sometimes I slip up…. 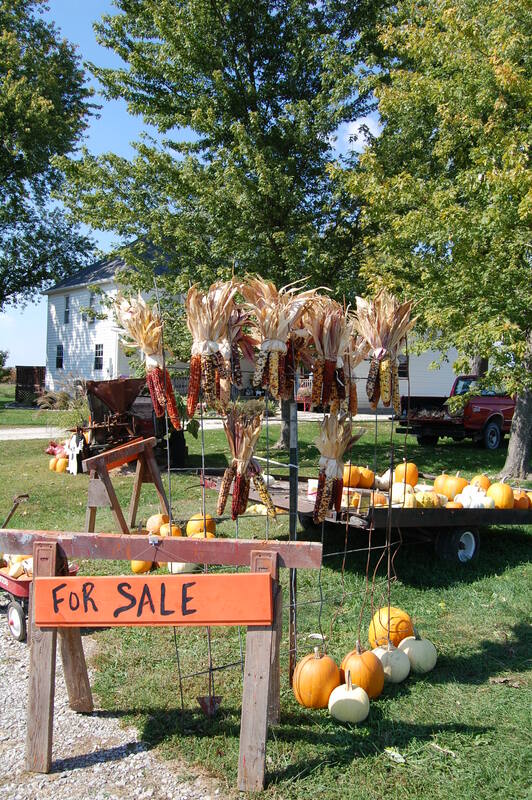 Love your pictures – wish I lived closer, I’d be buying all my “fall decor” from your roadside stand! Good idea on the scheduling, Dianna! 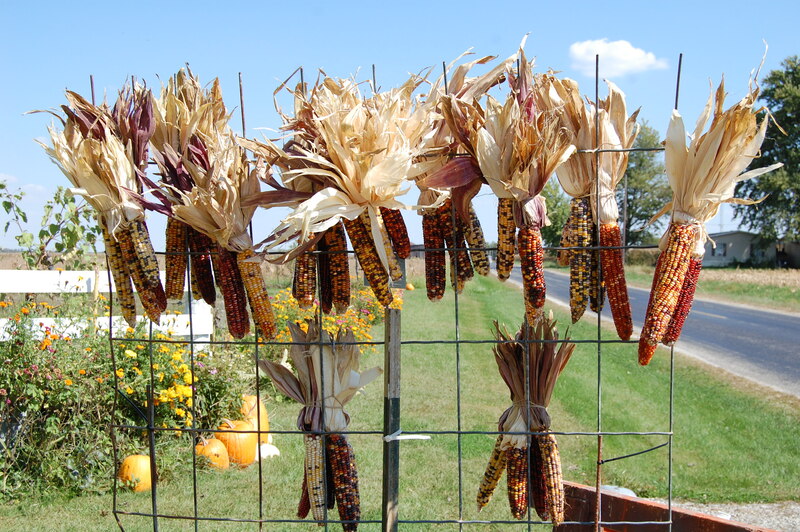 I’m glad you are at least enjoying the pictures of the fall decor. How automatically we hit that ‘publish’ button! 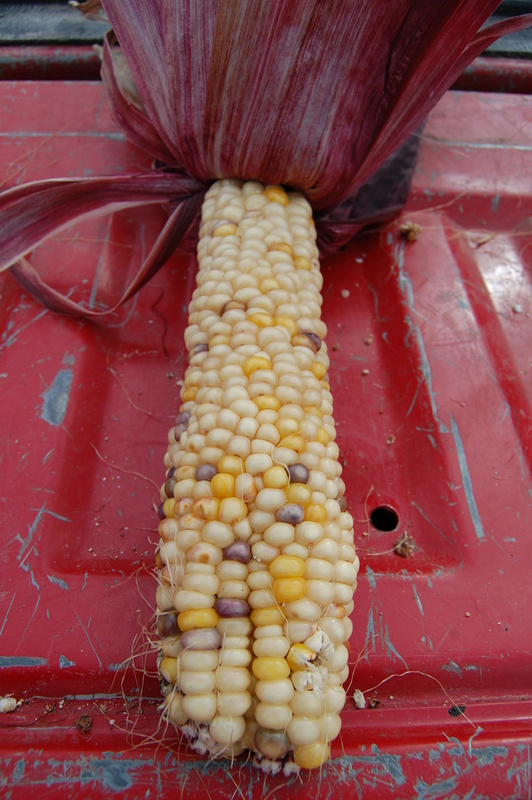 Your corn is colorful with much variety in the ears. Happy does look happy! 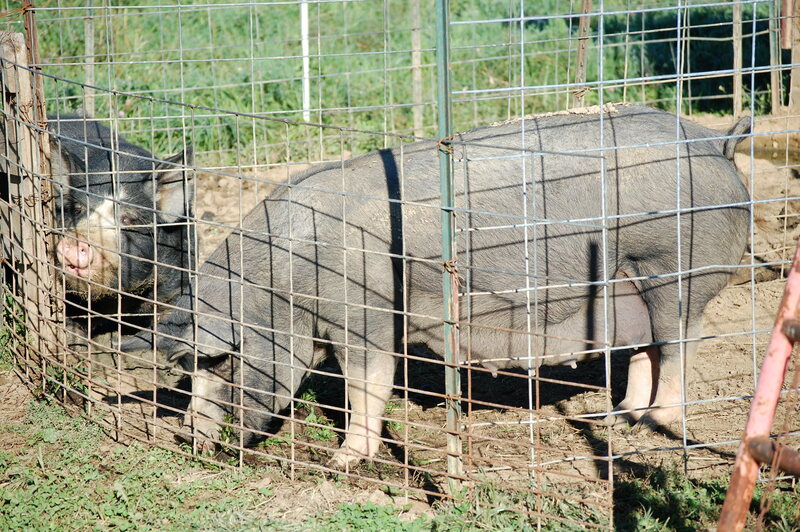 Yay for Bernice and piglets to come soon! Piglets are coming as I type…….. she’s up to 10.